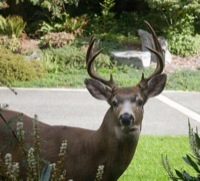 We have deer wandering through our yard on a regular basis. Some of our favorite photos are here. Deer in our yard, 9/29/2009. 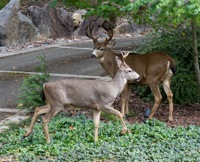 A pair of deer in our yard, 9/29/2009. 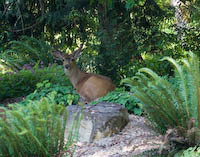 A doe and two fawns in our back yard, 7/7/2009. 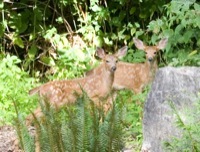 Two fawns in our back yard, 7/7/2009. 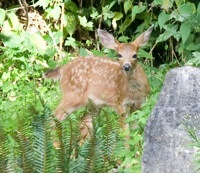 A fawn in our back yard, 7/7/2009. 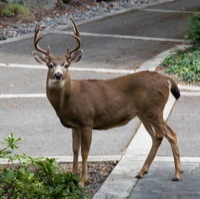 Deer in our yard, 6/11/2009. 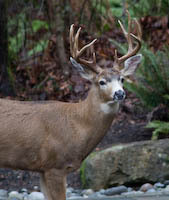 Deer in our yard, 12/19/2007.